For the first time since 2013, Ricky Stenhouse Jr. will start on the pole of a Monster Energy NASCAR Cup Series race. Stenhouse will guide the field at Sunday's Geico 500 after pushing his way through Talladega Speedway at an average speed of 191.547 mph. It's his second career pole and his first at Talladega. He previously sat on the pole at Atlanta in 2013. Dale Earnhardt Jr. qualified second at an average speed of 190.780 mph. His 50.194-second time was a full 0.201 behind Stenhouse, who had by far the quickest car on the track all day. "It will be nice to lead the field to the green here, " Stenhouse said, per the Associated Press (via the ). "It's a cool way to start the weekend." Earnhardt, who announced his retirement at the end of the 2017 season on April 25, has won six times at Talladega. Stenhouse was the last car to qualify, and the fans in Alabama were raring to go for Junior to start on the pole for the first time at Talladega. "I'm pretty happy, " Earnhardt said. "Great lap by Stenhouse and the Roush crew. Would have liked that pole." Stenhouse is coming off consecutive top-10 finishes. His fourth-place finish at Richmond tied a season's best, and he's finished no worse than 14th since the end of March. Currently sitting 16th in points, Stenhouse has a decent shot at making the Chase field. "We plan to keep getting better and continue to bring better race cars to the track and go out there and lay it all on the line like we do every week, " Stenhouse said, per NASCAR.com. "It's been really fun to drive, real special." Earnhardt has finished 30th or worse five times this season, including three of his last four races. He's sitting 24th in points and will likely need a win to make the Chase field—something Talladega arguably provides his best chance of achieving. "We always kind of come down here and find ourselves with an opportunity for the pole, " Earnhardt said. "Hopefully, we will get one before the year is out at one of these plate tracks. I know the guys have been so close at Daytona and Talladega for so many years, so it would be great to do it this last season together. 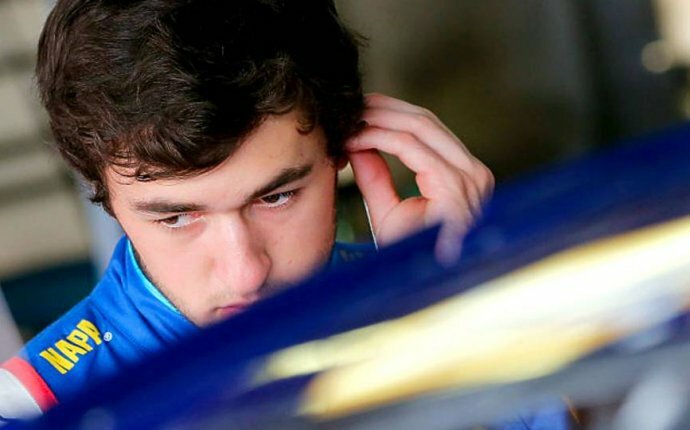 Just came up a little short today, but the car is fast and it will be good for Sunday."